Moving Service are the ideal solution for those worried about house removals in Noak Hill, RM3. Thanks to the sheer range of removals services which we’re able to provide, it’s never been easier to discover the right way in which to approach moving home. Rather than having to deal with the stress and the worry of handling the move yourself, you can give our team a call and be certain that the right help is always available. But what services do we offer which really can have a positive impact on your moving experience in Noak Hill? One of the trickiest parts of any relocation is figuring out the best way in which to move the furniture. Thanks to our experience of furniture moving, however, it’s never been easier to enjoy the full benefits of professional help at all times. We’re focused on making a real difference and, as such, we can deal with any item of furniture, no matter how big, heavy or awkward it might be. Whether you need help with a bed or are having trouble with a cupboard, a quick call to 020 8746 4402 is all that is required to get a free quote for the best help available. What does Noak Hill Have to Offer? As one of the furthest removed from the centre parts of London, the area is found in the East of the city and is in the borough of Havering. While many people focus on the areas closer to the central parts of London, there is a great deal on offer on the outskirts. 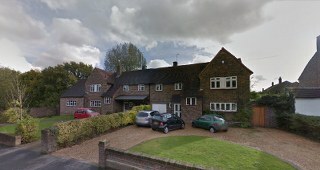 As more of a traditional village than the urbanised centre, and surrounded by places such as Harold hill and Havering-atte-Bower, those who are trying to escape the hustle and the bustle of metropolitan life can often choose to life in such an area and commute into more densely populated areas. Remarkably close to Romford, and bordering on Essex, the area was traditionally a parish of Hornchurch and over the years has moved between the categorisation of area. Those who are thinking of the public transport might be glad that they can take advantage of the buses and the public transport links which can allow people to commute and visit, whether they are travelling into the city or leaving to visit the village. Those who are visiting might want to note the listed buildings and the churches which provide a great deal of historical interest. There is no need to worry about the size or scale of your move, we can take on any challenge. Moving Service are the ideal way in which those who are thinking about small removals can take on professional assistance. While many removal companies in Noak Hill, RM3 might focus on the larger scale situations, we want to help everyone and that means high quality, professional help in every single circumstance. So no matter how much you need to be moved and no matter how far, our man and van hire is the best choice for you. We know how tough domestic removals can be, which is why the international removals which we provide are even more useful. With so much demanding your attention, the experience and knowledge which we’re able to provide are often an essential part of any moving abroad process. Rather than having to worry about how to handle everything yourself, you can get in touch with our team on 020 8746 4402 and get a free quote for all of the international moving services which you might require.